The CE-TECH 12 ft. White Phone Line Cord is equipped with a modular plug on each end for connecting phones, fax machines, caller IDs and computer modems to a telephone jack. CE Techs HDMI Inserts are compatible with 1.4 HDMI cords and are designed to securely attach an HDMI cable to the front and back of each plate. The HDMI Insert snaps easily into any keystone style wall plate. 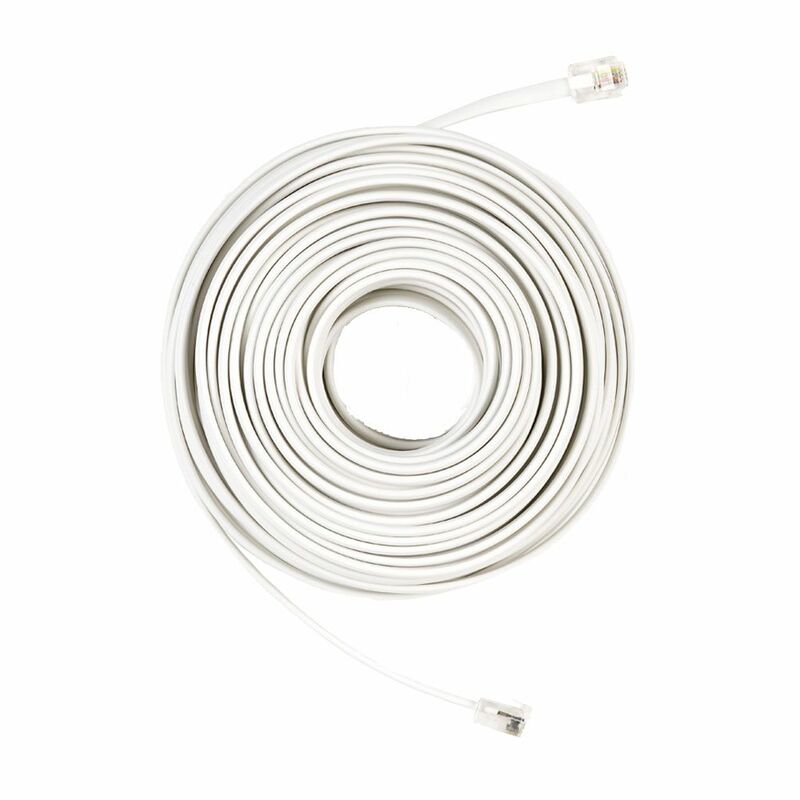 The CE-TECH 250 ft. White 6C Station Wire is designed for indoor and outdoor use and is compatible with most brands. This 6-conductor station wire is ideal for use as a new installation or old line replacement. 50 ft. Phone Line Cord in White The CE-TECH 12 ft. White Phone Line Cord is equipped with a modular plug on each end for connecting phones, fax machines, caller IDs and computer modems to a telephone jack. 50 ft. Phone Line Cord in White is rated 4.8 out of 5 by 38. Rated 5 out of 5 by Tpratt from Needed to use as a data cable for Progressive Industries' RMS-Remote Digital Switch and Monitor. ... Needed to use as a data cable for Progressive Industries' RMS-Remote Digital Switch and Monitor. Worked prefect where other brands failed. Rated 4 out of 5 by HG from Works fine. Get the job done.... Works fine. Get the job done. Rated 5 out of 5 by Bump from The cord was exactly the right length I needed, it worked well. The cord was exactly the right length I needed, it worked well.